Welcome to an occasional series about The Preserve, the 1,000-acre forest in the Old Saybrook area that local residents, statewide organizations, and elected officials have been fighting to save for the last decade. This first post presents Part I of a timeline of the fight. Stay tuned for Part II next week, as well as for future posts that will delve deeper into the cooperative effort to protect the land, the natural resources found on the property, next steps, and other aspects. This summer, it was announced that a deal had been reached between Trust for Public Land and River Sound Development LLC, owned by Lehman Brothers, to purchase the 1,000-acre property known as The Preserve for conservation, recreation, and habitat protection. This was the culmination of a 10-year battle that involved CFE as legal leads, the Alliance for Sound area Planning, the Attorney General of the State, DEP (which became DEEP along the way) and others. 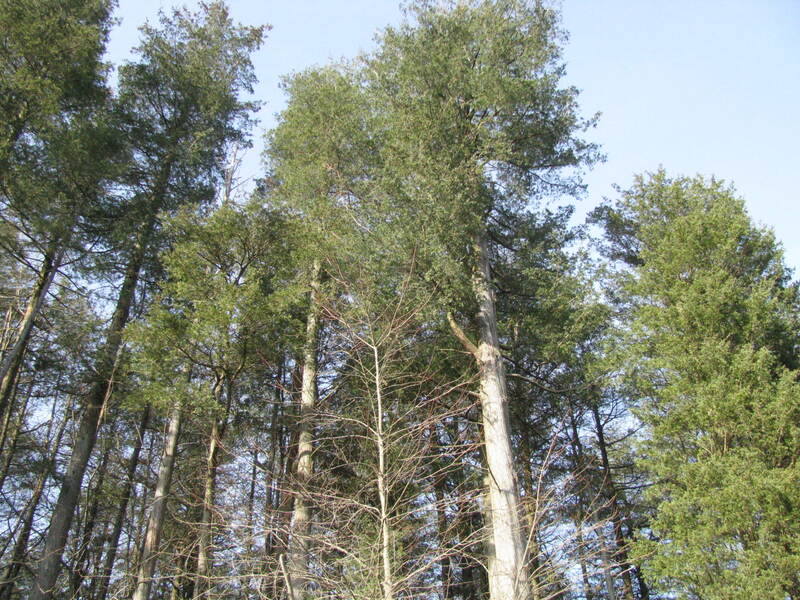 This was a battle that defined our legal and land protection mission at CFE for a decade, and has had an enormous impact on our organization and on Connecticut’s land preservation community. The job, of course, is not over. CFE and other partners are now collaborating on a year-long campaign, spearheaded by the Trust for Public Land, to raise the approximately $12 million needed to acquire the property and pay for stewardship and other costs. This moment, between one victory and the next big effort, represents a great opportunity to reflect upon what this battle has meant for land protection in Connecticut and what it can teach us for the future. Setting the Stage: In 2003, the housing economy was still booming and speculative development was rampant in Connecticut. It was at this time that CFE became involved in what was to become a 10-year battle to permanently protect the Preserve from becoming a luxury golf course and estate homes. Protecting the parcel at that time and in that climate was considered by all to be a longshot. It was equally clear, though, that the conservation value of the uninterrupted coastal forest made this a gamble worth taking. About the Land and Its Resources: The Preserve comprises roughly 1,000 acres in Old Saybrook, Westbrook and Essex along the Connecticut River and Long Island Sound. 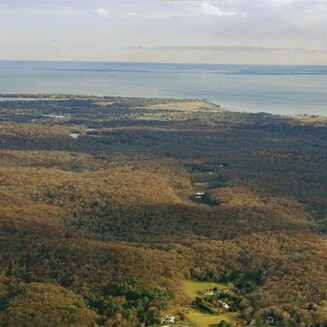 It’s the last and largest unprotected coastal forest and wetland complex remaining in Connecticut and the last coastal forest of this size from New York to Boston. It’s home to the grade A waters and headwaters of the Oyster River, which flows into Long Island Sound, and numerous tributaries. The Preserve is abundant in natural resources, including 43 wetlands and a highly productive and interrelated complex of 38 vernal (seasonal) pools, 25 species of amphibians and reptiles, 30 species of mammals, and 57 species of birds. 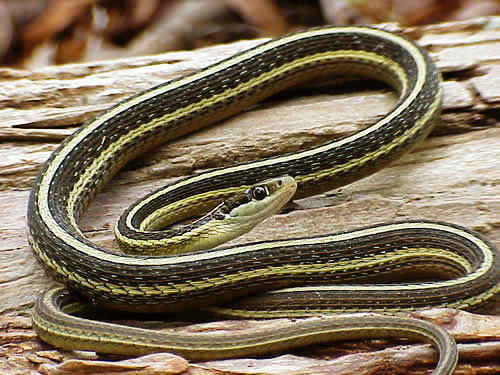 One of the vernal pools was characterized by Lehman Brothers’ own consultant, renowned herpetologist Michael Klemens, as the most productive vernal pool he had ever seen. The Preserve supports one endangered species, field milkwort, and four state-listed species of special concern: Eastern box turtle, Eastern ribbon snake, red bat, and Eastern prickly pear. Some amphibian species that are declining statewide—including the northern dusky salamander and the red-spotted newt—are thriving on the Preserve site. These amphibians breed in the vernal pools and spend the remainder of the year in the upland area, utilizing as much as 750 feet of upland habitat surrounding the pools. The wetlands generally consist of Red Maple Swamps but also include one Atlantic White Cedar Swamp and an uncommon 29-acre low nutrient wetland community with floating sphagnum mats called Pequot Swamp Pond. Large intact wetland systems with high concentrations of embedded vernal pools, like those found in the Preserve, are uncommon in Connecticut. U.S. Senator Richard Blumenthal, the Department of Energy and Environmental Protection, state leaders, and many conservation groups have designated the protection and preservation of the Preserve as a high priority area for the state. Efforts to Develop the Preserve: In 1998, the land was purchased by a developer, Tim Taylor, with the intent to build on it. A group of local citizens who understood the conservation value of the property immediately began discussions with the developer and the Department of Environmental Protection to try to arrange a conservation purchase. While there were various offers made by DEP, the developer proved unwilling to sell. Ultimately, Taylor got into debt and Lehman Brothers Holding, Inc., the primary lender, foreclosed on the property in 2002 and took possession. Throughout this time, DEP and The Nature Conservancy engaged in discussions with Lehman to try to purchase the property at fair market value. Lehman ultimately responded they were uninterested in selling and moved forward with plans to develop a golf course and luxury estates. CFE Enters the Fray: CFE became involved in 2003 when initial zoning and wetlands applications were submitted by the developer and challenged by CFE and residents. Richard Blumenthal, at that time the Connecticut Attorney General, issued a statement through a CFE press release supporting the preservation of the property and pledging to scrutinize any necessary state permits. While this initial set of applications were approved by the Old Saybrook Planning and Wetlands commissioner, a neighbor, Robert Lorenz, appealed the approval and won. The Appellate Court for the State of Connecticut reversed the Commission’s decision because $300,000 remediation bond the Commission required was illegal. The decision was remanded to the agency to correct the deficiency. In the meantime, all realized that a legal challenge alone might not be enough to protect the property. The Alliance for Sound area Planning (ASaP) was formed by citizens of Old Saybrook, Essex and Westbrook in January 2004 to educate the public and advocate for preservation of the Preserve. CFE was intimately involved in the group’s formation and worked in close cooperation with them. 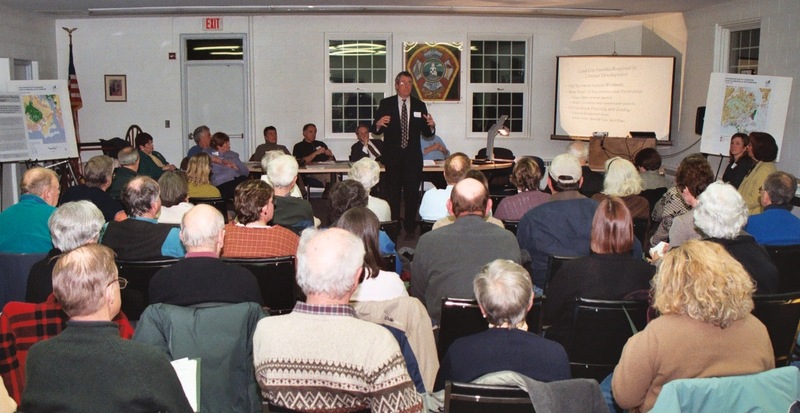 CFE and ASaP quickly held a forum in February 2004 with Blumenthal and local state senators and representatives speaking in favor of preserving the property. CFE worked with ASaP on “Preserve the 1,000 Acre Forest” lawn signs, which soon dominated lawns across Old Saybrook and the other towns. We also mailed an educational piece describing the property and its value to local homes. This campaign was incredibly successful—any semi-alert resident of the area heard what was happening. The success of the campaign—and the serious threat it posed to the developer’s plans—was highlighted when Lehman filed a “SLAPP suit” against CFE to try to stop us from distributing the mailers. SLAPP stands for Strategic Lawsuit Against Public Participation; these suits are filed by large companies against citizens and organizations to intimidate them from exercising their First Amendment rights. The lawsuit challenged the veracity of CFE’s claim in the mailer that there was endangered wildlife on the property. The court found that there was, in fact, endangered wildlife on the property and called the lawsuit filed by the developer “utterly speculative and without basis.” The lawsuit galvanized opponents of the development, and garnered support for CFE and for the preservation of the property from the Hartford Courant, the Attorney General and many others. Update: Part II of our Preserve history is now online here.